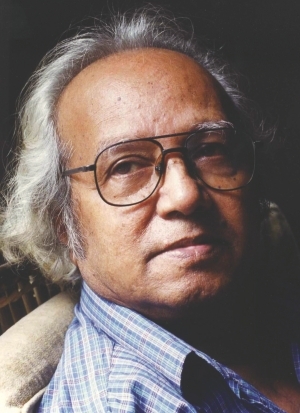 Renowned painter Aminul Islam, breathed his last on July 8, 2011. Islam lived to be 80 and during his lifetime, he achieved much acclaim and recognition in the art world of Bangladesh. Being a student of the three connoisseurs of visual art, Zainul Abedin, Quamrul Islam and Shafiuddin Ahmed, Islam began his education in Dhaka Art College and later followed their example and sailed to Europe to study abstract art. He experimented with new forms, made new discoveries and took abstraction to a whole new and sublime level. His art spoke a language of its own and danced to its own rhythm. Islam's area of expertise was in oil, water-colour and lithograph. His speciality was in portraiture and he created many a masterpiece with women being his choice of subjects, proving he could excel in both realism and abstraction. “Oriental” and “Face” are among his most well known pieces. Islam passed away due to complications that come with age, leaving behind his wife and three daughters. He will not only be remembered as an artist but also a humanist and a forward thinking personality. He was involved in many social and cultural movements. His views and beliefs were often reflected in his artwork, depicting the economic as well as social and cultural climate of Bangladesh. Islam has made his mark in the Bangladeshi art world as a brilliant and innovative personality. He will live on through his work of art which will be admired and cherished by art lovers all over the country for many years to come.